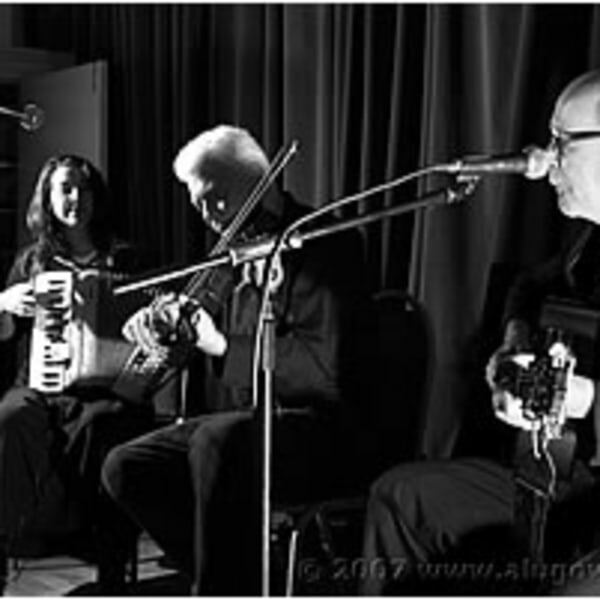 Jacket Spuds are a group of musicians whose sound is rooted in the richness of the Irish folk tradition. Their musical range and emotional commitment, and their remarkable combination of traditional form and contemporary content has evoked enthusiastic responses from audiences around the world. 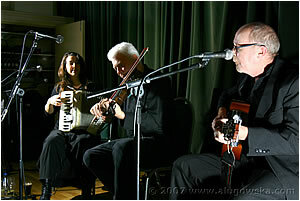 Pete Mona (guitar/vocals), Mick Barker (fiddle/vocals), Eileen Barker (accordion/vocals), have toured extensively throughout Britain and Europe, from the intimacy of small clubs to the large stages of Festivals and Theatres. 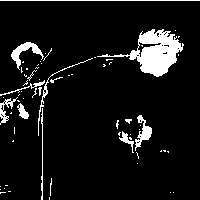 London gigs to date include the Mean Fiddler, Dominion Theatre, Hackney Empire, National Theatre, Folk Clubs, Colleges and Arts Centres.